I’m a big fan of menu planning. It saves me so much time and money. I hate wasting time in the store running back and forth because my list is all out of order. I usually have at least a few kids with me while I’m grocery shopping so spending extra time backtracking to grab something off my list that I missed the first time I was in an aisle just doesn’t work for me. 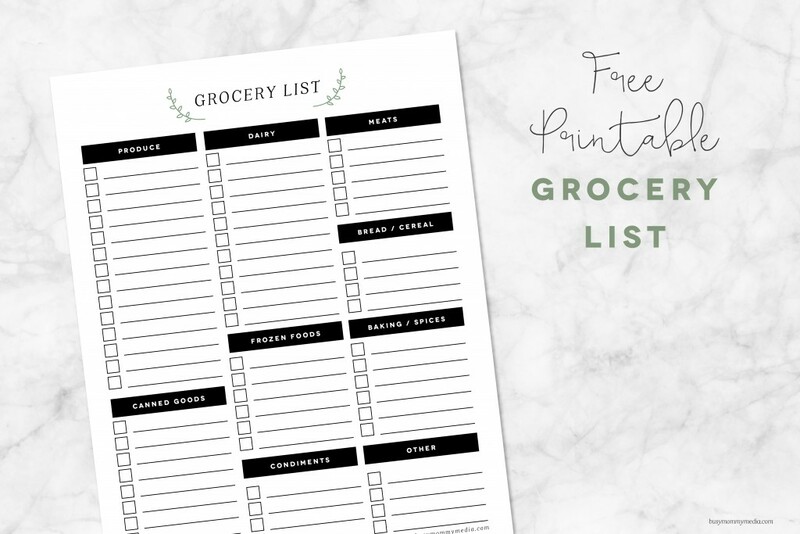 This printable grocery list helps you simplify your trip to the store and you can still add things to your grocery list as you need to. 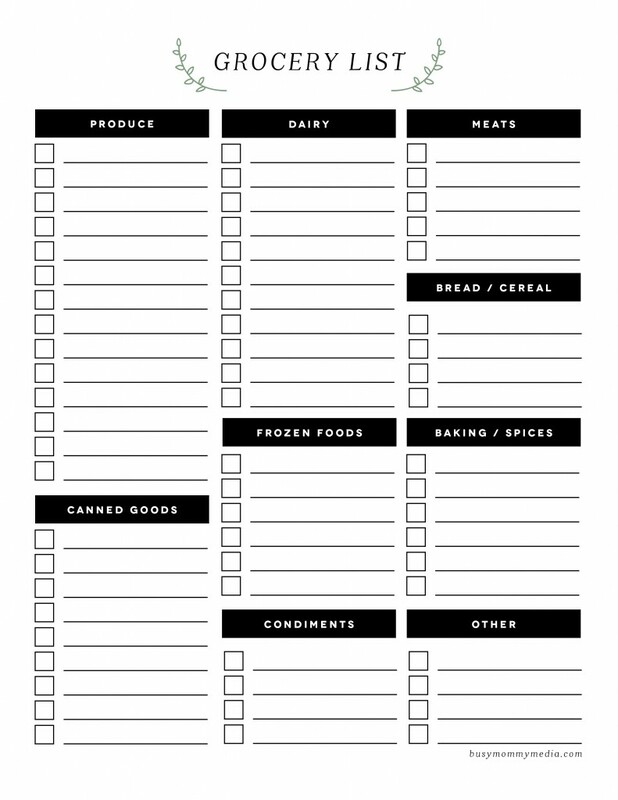 Update: I still LOVE this printable grocery list, but most of the time lately I’ve been using eMeals. Using eMeals to help with menu planning has made my life INFINITELY easier. eMeals gives me a fully planned menu weekly, or I can customize it with favorites from previous weeks. My full shopping list is stored in the app to be checked off while I’m at the store or it can be sent directly to my local store for pickup. I can’t tell you how much time and money this has saved me. 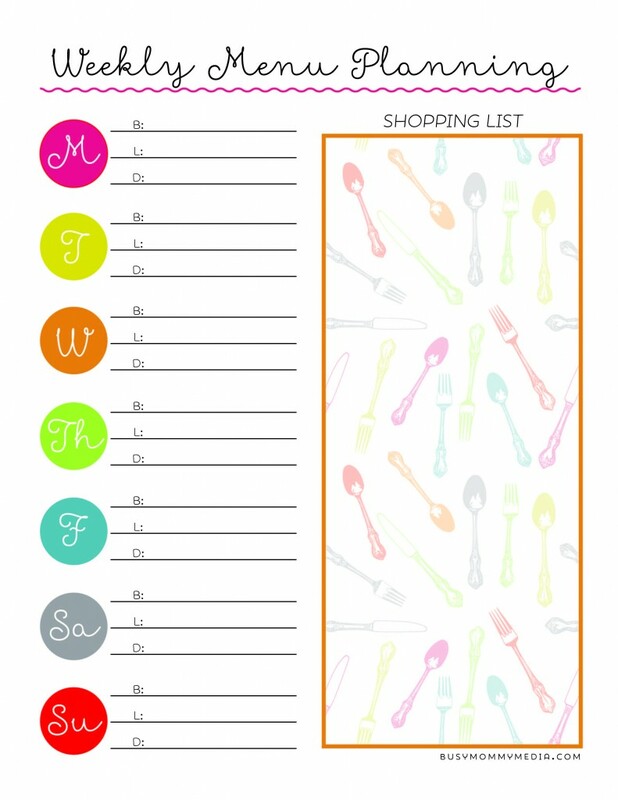 I still love this printable grocery list but most of the time I’m using eMeals these days. Check it out here and get a 14-day trial to test it out for yourself. Plan your menu ahead of time so you know exactly what you need at the store. Check out our printable weekly menu plan if you need some help with that. Keep your grocery list somewhere visible so you can add items to it as soon as you think of them. This will prevent you from having to take a second trip to the grocery store. I keep mine on the side of my fridge so it’s easily accessible but not a focal point in my kitchen. You could also tape this to the inside of one of your cabinet doors. Tell your family to add items to the list if they think of any you miss. My kids eat so much food right now. My boys can honestly out-eat me so they are usually the first to know when something is gone. If they finish something off, they know it’s their responsibility to add it to the grocery list. Include quantities on your list. Chances are that you won’t remember how many of everything you need once you are at the store. Make it easy on yourself and just write everything down. Take a picture of your grocery list on your phone before you leave for the store if you don’t want to carry the entire list with you. You can zoom in on each section of the list to make it easier to read and you won’t have to worry about losing your list. Have you Slacked off on Menu Planning? The tips is so work for me. By reading your new post, I get many interesting and valuable things. Thanks for that. Thank you I love the printable grocery list. Simple, clear & organized (which I am trying to be in 2017). Happy New Year. Thank you! Not often you really do receive a “free” anything anymore; to include printables! Love the blog!